Family vacations can be hectic, as finding a destination that is both child friendly and accommodating to your family’s unique needs is sometimes challenging. Continuously flying to visit new locations adds stress, as travelling with children isn't easy. If this relates to you and your family, a cruise could be the perfect fit for you and your kids! Cruising allows your family to experience new cultures and environments daily without spending the majority of your vacation in an airport. Cruising offers a relaxing and simple way of seeing the world, and children will have unforgettable experiences not only on land, but also when setting sail. Here at North South Travel we are a member of the prestigious Virtuoso network, which is the world's largest luxury travel network. This means when you book directly with us you can get extra perks many other agencies or online sites cannot give! This includes special pricing, amenities and shipboard credits where possible! We will ensure that your family has the best cruise experience possible!! 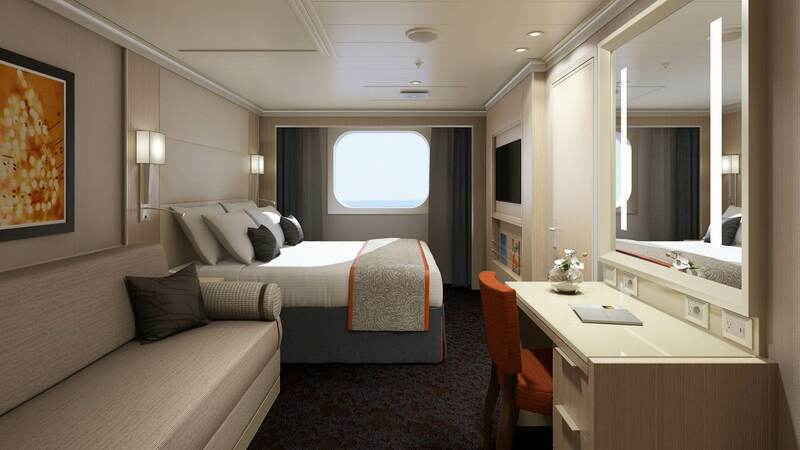 Princess Cruises (Emerald Princess): The most appropriate option for your stay would be the Family Suite with Balcony, as this expansive 460- 687 square-foot area offers a comfortable space, along with many added benefits. Comfortably sleeping four passengers, this suite includes two bedrooms, a spacious living room, and two bathrooms. The Princess Suite Experience also provides priority embarkation & disembarkation at all ports, an exclusive disembarkation lounge, and priority onboard shore excursion reservations. 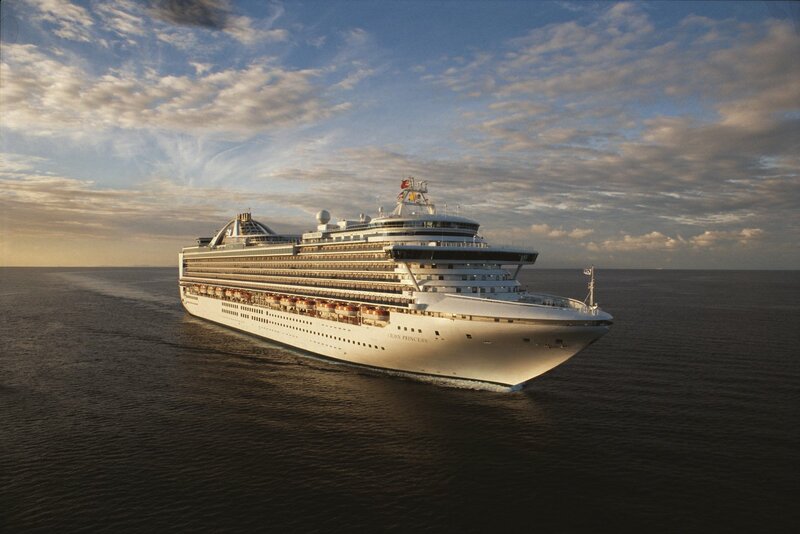 Princess Cruises strives to meet a wide range of interests their underage guests may have. As a result, they provide Youth Centers (ages 3-12), and Teen Lounges (ages 13-17). They also administer Edutainment, a service that believes in making learning enjoyable and kids-only dinners, giving parents an opportunity for a romantic date night. Late night group kidsitting is also available at your convenience. Celebrity Cruises (Celebrity Reflection): Being the first two bedroom suite on a Celebrity Cruise ship, the Reflection Suite is located in a private area of the ship that can only be accessible with a SeaPass card, making it a unique room for you and your family. This spacious 1636 sq. ft. room provides your family with more than enough living space to create a comfortable home away from home. Guests will also receive personal butler service, a private restaurant and an exclusive lounge. 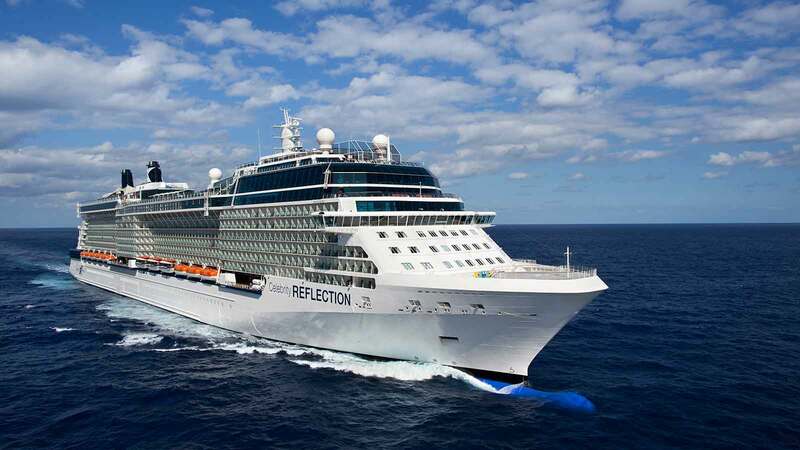 Celebrity Cruises implements many fun activities for all ages to enjoy daily. They also administer programs for different age groups including Toddler Time (kids under 3), Fun Factory (ages 3-11), and X Club (ages 13-17). Holland America Line: The accommodations best suited for a family getaway are The Pinnacle Suite, The Neptune Suite, or the Family Ocean-View Staterooms. The Pinnacle Suite is undoubtedly the most luxurious option, as it offers approximately 1,357 sq. ft. of true beauty. This suite is equipped with one king-sized bed, one sofa bed for two persons, two bathrooms, a living room, dinning room, and a dressing room. The Neptune Suite is similar, as it comfortably sleeps four guests, perfect for your family getaway. Slightly smaller than the Pinnacle Suite, the Neptune Suite sits at approximately 506-590 sq. ft..However, this living space is still quite spacious, offering a large sitting area, dressing room, and oversized bathroom with an additional shower stall. Guests reserving Pinnacle or Neptune Suites will be provided access to the Neptune Lounge – a place to relax and interact with other guests. Available on Ms. Koningsdam, the Family Ocean-View Staterooms accommodates up to five guests, providing additional closet space and two shower facilities. Youth programs are also available on Holland America Line, as they provide a full-time qualified staff with various degrees in education, childhood development, etc. in order to effectively run various activities. These groups are categorized into to three fields: Kids (ages 3-7), ‘Tweens (ages 8-12), and Teens (ages 12-17). Disney Cruise Line: Because Disney Cruise Line is appreciated as be one of the most family friendly companies, the majority of their rooms are accommodating to family getaways. 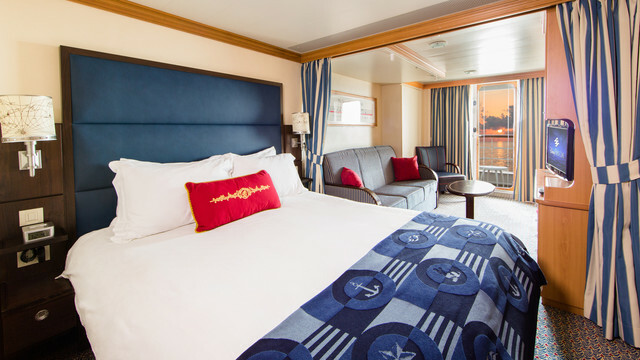 However, Disney offers many unique rooms that are favored by most, one being the Concierge Family Oceanview Stateroom with Verandah. This 306 sq.ft. room sleeps five guests, equipped with a queen bed, double sleeper sofa and upper berth pull-down bed. 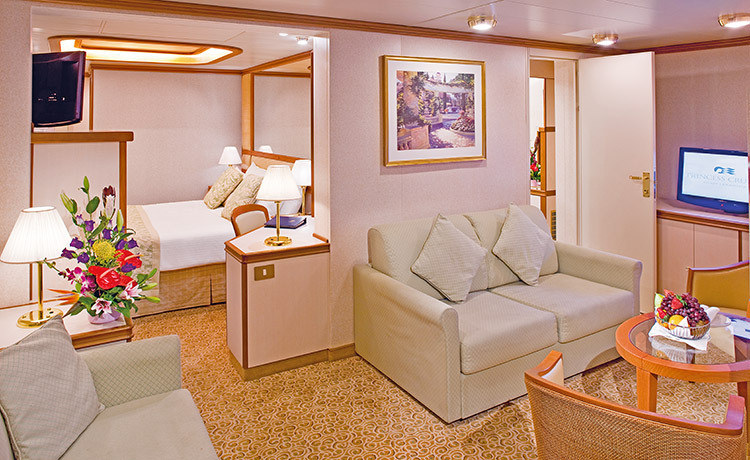 The private verandah with floor-to-ceiling windows provides beauty guests won’t find in many other staterooms. At Disney Cruise Line, parents can be assured their children will never have a shortage of fun activities to participate in. Children will have unforgettable opportunities such as watching live shows, meeting their favorite Disney characters, or racing down the water slides with new friends. Youth programs are also provided to younger guests, including “it’s a small world” and Flounder’s Reef Nursery, Disney’s Oceaneer Club and Lab (ages 3-12), Edge (tweens), and Vibe (teens). These groups provide no shortage of opportunities for kids to gain their ultimate vacation experience. If setting sail is the right option for your family holiday or for any further questions, please contact our Cruise Specialists today at 604-736-7447 or contact us above!